It can be so hard to run errands with babies and toddlers. You can avoid it a lot, but at times it must be done! 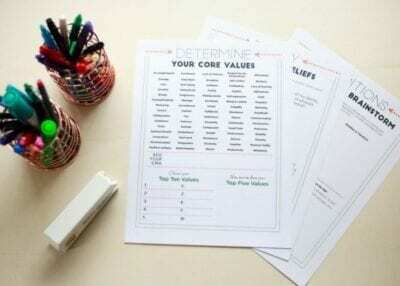 Here are tips to make it easier. There I was in the handicapped bathroom in the mall. The whole place smelled vaguely like a diaper genie minus the lid. My toddler was walking around in circles trying to pull toilet paper out of the trash can. I was feeding my little baby rather clumsily since I didn’t wear a “nursing shirt.” Plus, it’s hard to feed babies when they are so small you have to support every part of them and your own feeding apparatus. I think you follow. And to be honest, that’s how I operated for a couple of years. 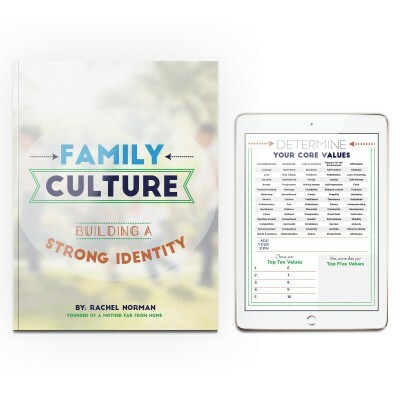 When I shared my schedule for four kids four years old and under, one of my main points was I avoid running errands with all the kids at all costs. That said, sometimes you have to go places and you have to take the baby and toddler and you want it to run smoothly. And the good news is… it can run smoothly! 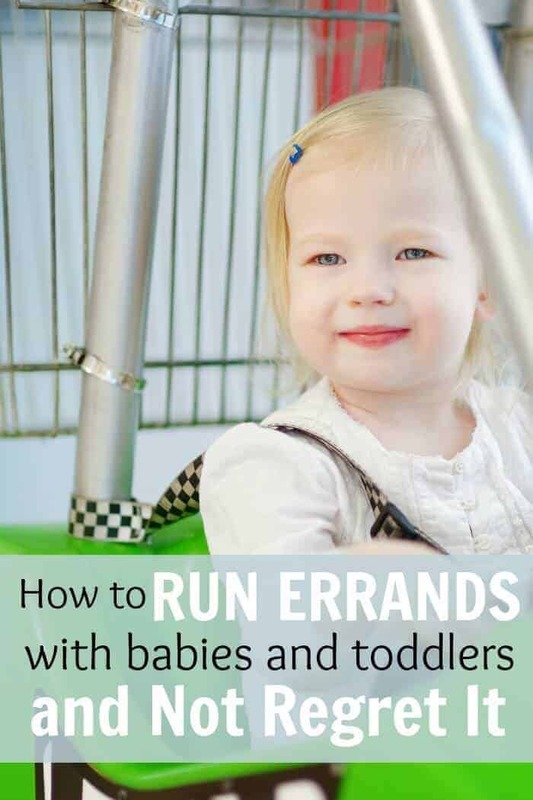 Here’s how you can work errand running with happy little ones. This is the biggest indicator as to how your trip will go. Whether tantrums will be had, candy will be demanded, and how many glares or stares perfect strangers give you in the store. I never run errands or schedule appointments during naptimes. I shoot for awake or play times when everyone is used to being up anyway. This means no tired or fussy kids and no sleeping in the car. Until my babies are a year old, there is very little time they are not either eating or sleeping. If I run errands with the baby he inevitably needs to eat while we’re out. I’ll either nurse just before we leave or in the car if need be, and will always bring food as well. 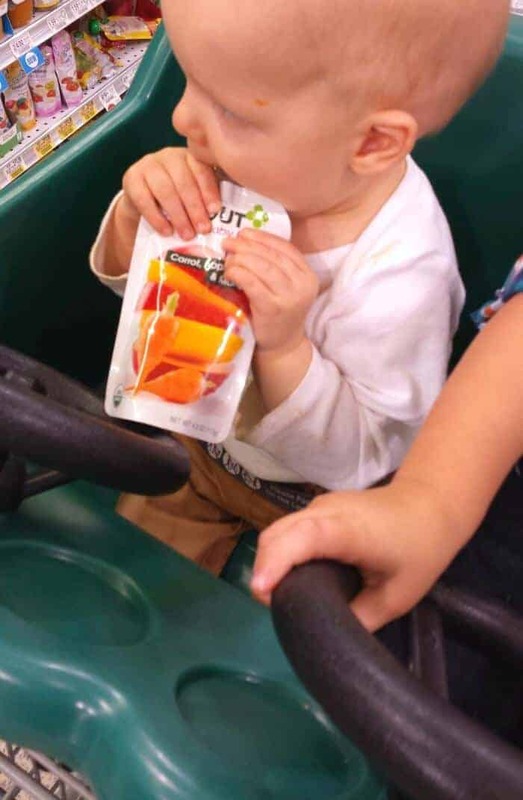 The best foods for on the go are little pouches, like the Sprout Organic baby food pictured below, because they are easy to eat, easy to feed, and are just as good as homemade since they are real food, no preservatives. I find it best to always be prepared with some food that won’t spill or can be closed, otherwise you’re at the mercy of your location and their selection. We were shopping at Publix here so our options were great, but depending on where you are it isn’t always the case. 3. Treat but don’t bribe. Motherhood is like Italy. Let me explain. Ten years ago I lived in Rome and it would take me five days to run 4 errands. It’s beautiful there, but what makes it so lovely to visit is what makes it highly inconvenient if you actually need to get business taken care of. I’m sure it’s different now, but things were always more involved than I estimated. If you have to get a baby and a toddler in and out of your minivan 14 times everyone will scream, cry, and want to go home. Do what you have to do, but don’t overdo it. 5. Change before leaving the house and dress well. By well I don’t mean cute. Or you can dress them cute if you’ve only got one or two and are into that. I have four so I don’t care what they wear as long as it doesn’t have an obvious hole and their underwear/diapers are covered up. Bring jackets or keep them in the car. Cold babies and toddlers don’t cope well. For ones still in diapers, I’ll change their diaper immediately before leaving the house in hopes I won’t have to do a change mid-trip. 6. Choose carrier, stroller, or buggy. Sounds very “duh” to say that, but I like to know exactly how I’ll transport the baby. The carseat carrier is out because it’s too heavy and cumbersome. The stroller is out if I’m actually shopping because I don’t have anywhere to put things. The baby carrier works if we’re not going to be out for long, but after a while starts to hurt my back and my probably-fractured-pelvis from All These Kids. 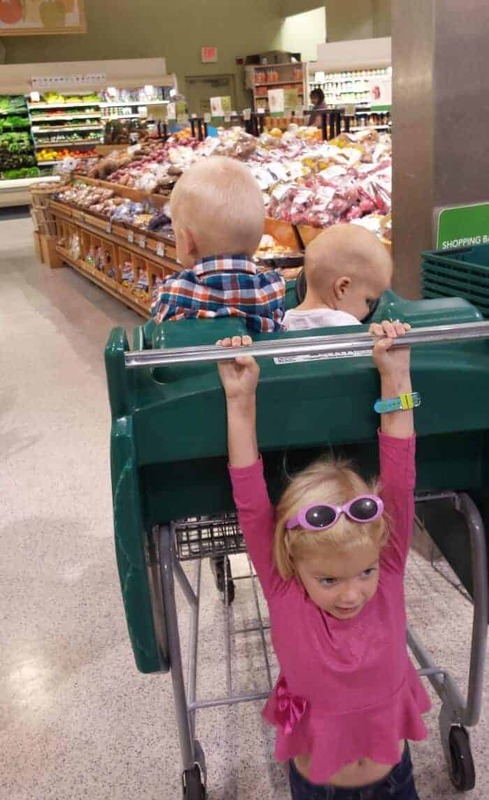 That’s why I love buggies that fit a couple of kids and are fun. When at all possible, we go to grocery stores that have these, the best in our area is Publix. Oh and Lowe’s, but Lowe’s doesn’t carry milk.